My makeup collection has been requested so much since I first started writing this beauty blog and I am finally happy with my storage so am ready to share! Please don't take this the wrong way, it isn't me trying to show off how much makeup I have or anything like that! 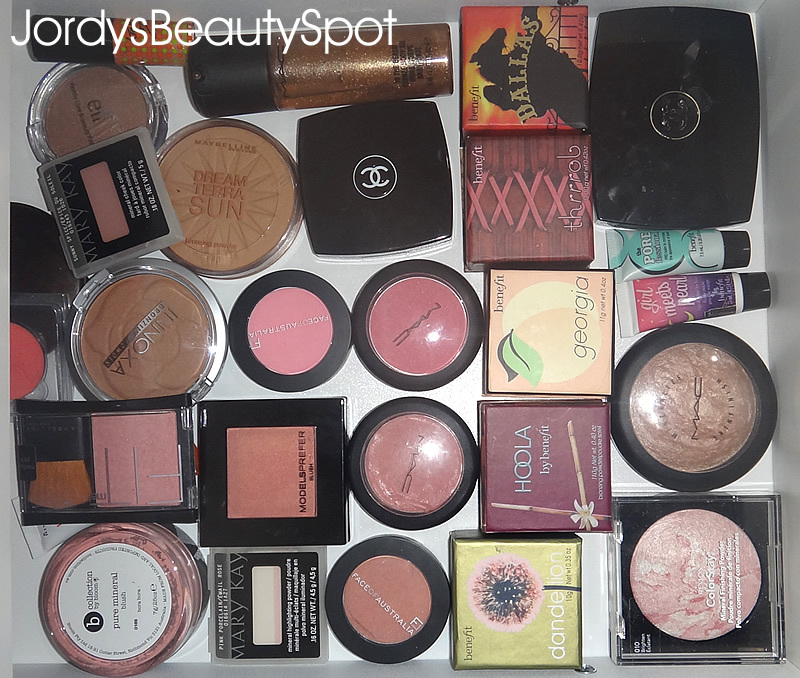 The whole purpose of sharing my collection is to inspire your makeup storage and give you some ideas on ways you can organise your products. I have put my full makeup collection into a video on my channel that you can watch by clicking HERE. The purpose of this post is that I have included a few sneak peeks of my collection on here for eye candy and also mainly have included information about where all of my storage is from. 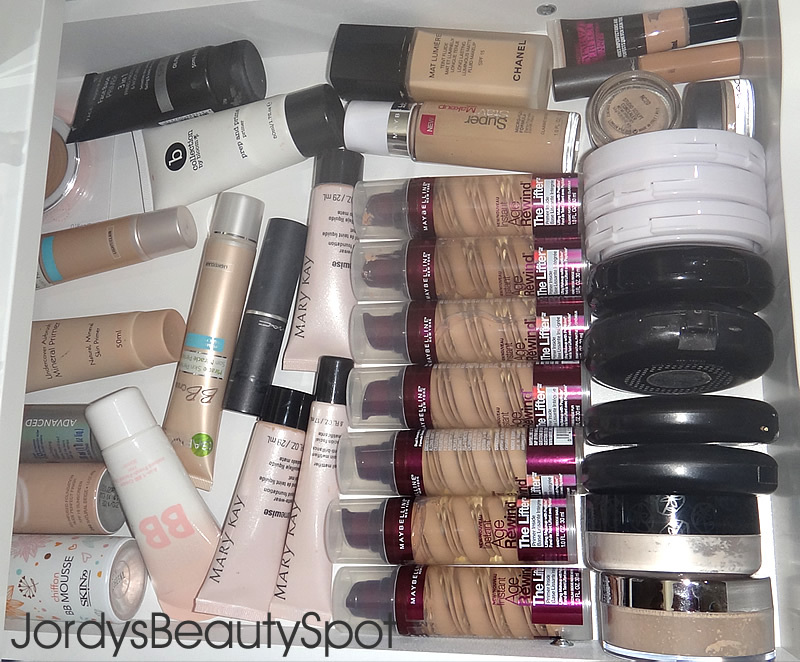 Makeup storage can be the most frustrating thing to get perfect, especially living in Australia where we don't have places like the container store and it's hard to find storage solutions that are pretty, practical but also affordable. Now here are a few sneak peeks of what you will expect to see in the makeup collection video; my foundation drawer, face draw, single eyeshadow draw and lip product draw. 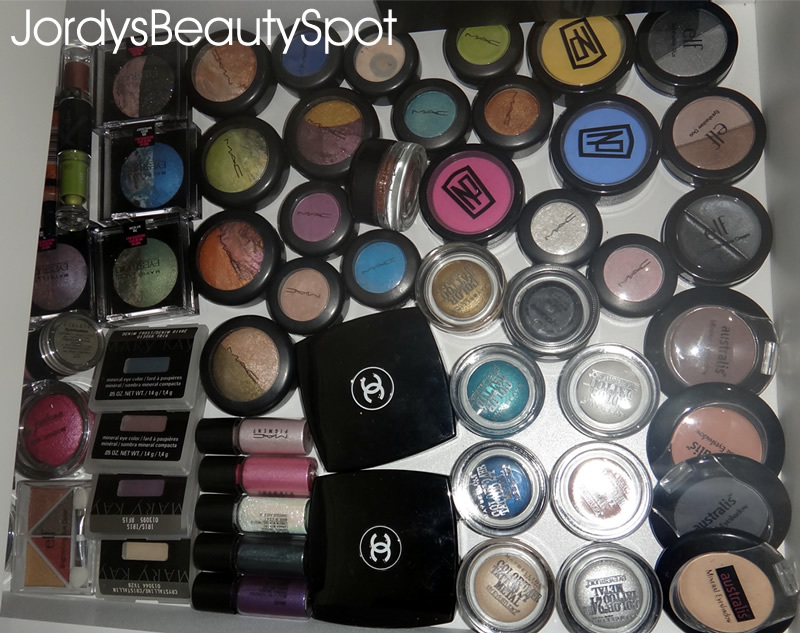 Keep in mind this is just a snippet of my collection so make sure to watch the video to see it all! Although I am absolutely loving my currently storage, keeping the majority of my makeup in the Alex drawers from IKEA, I am still open to suggestions which will help utilize the Alex drawers to their full capacity :) Let me know if you have any storage tips, tricks or ideas in the comments below! Disclaimer: As a beauty blogger, I obviously get sent a lot of products to try out and review so some products you see in my collection were gifted to me but this is definitely NOT sponsored. Lovely collection and storage! I think you have a healthy amount of makeup - haha, not too much or too little (but definitely growing room ;) hehe). 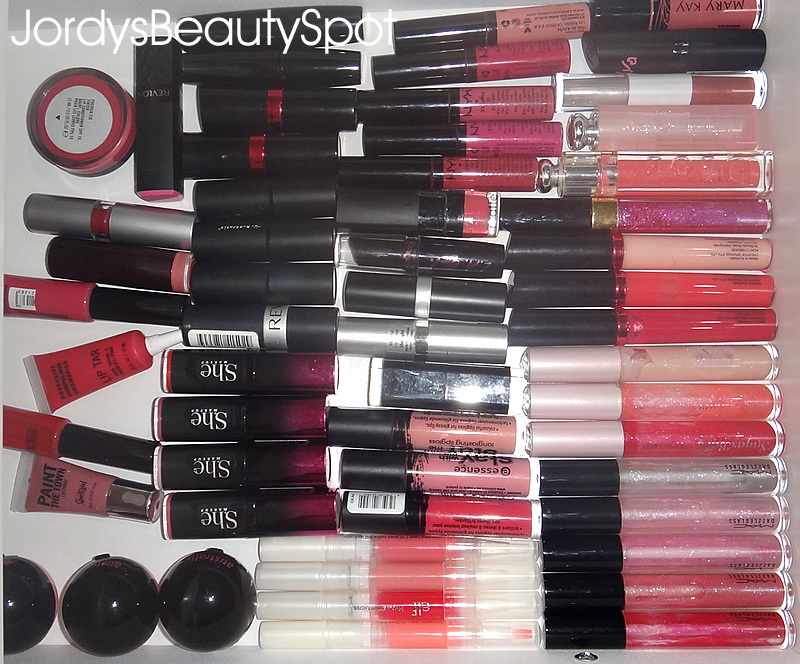 Those lipstick holders look nice, I'll have to grab some when my lip drawer starts overflowing! such a great makeup collection, I definitely need to organize and store mine better... hopefully in my new apartment that will be possible. I wish we had ikea here!